No Longer Three Fifths a Person at 5/3 Bank! Fifth Third Bank Doors are no longer Discriminatory! Thank you Fifth Third Bank for removing the "jail like" doors! These "jail Like " doors are at their branches at 8140 S Ashland, 1600 E 79th Street and 11850 S. Marshfield. 5/3 Stop your discriminatory practices! Either put your "jail like" doors in all your branches or take them out of ours! 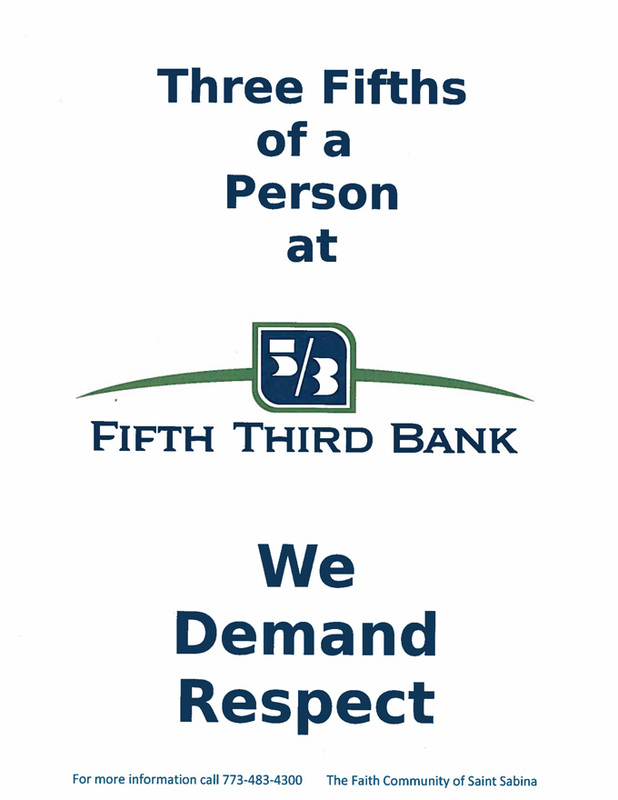 For More Information - Download the PDF Handbill " Three Fifths of a Person at Fifth Third Bank"